It's always useful to know what Amsterdam weather will be like when you go there. While a lot of people think that the Netherlands have very cold climate, that's not true. The Netherlands are located close to the North Sea which gives it a maritime climate and that means in general a moderate climate. Not too hot in summer and not too cold in winter. However we do have a lot of rain and wind, especially during the fall and winter months. 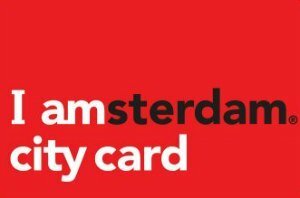 Read below about average temperatures in Amsterdam in winter, spring, summer and autumn so you know what to pack when you visit! Amsterdam weather in January is very calm and quite cold. It doesn't snow in Amsterdam every year but January is the most likely month if it does snow. There may be a few freezing days when the bare trees are turned into a white color. 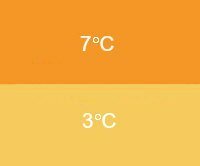 Average low temperatures in Amsterdam in Janurary are 3 °C while average high temperatures are 7 °C. On clear days you might enjoy brisk walks outdoors. However there are plenty of warm, cozy places like restaurants, cafes and museums where you can feel more comfortable. On an average, Amsterdam receives 69mm rainfall in January, which might make outdoor activities uncomfortable. When the climate is particularly cold you might find ice skating rinks in Amsterdam. Be prepared for chilly days and don't forget to pack a heavy coat, scarves, gloves and boots to stay warm if you plan to visit in January. Amsterdam weather in February can be a little uncomfortable with occasional freezing temperatures. Although quite rare, the water in the canals sometimes freeze up. The days can be short and the climate can sometimes seem to be hostile. However, this time of the year is usually quieter and therefore more appealing to many people. Snow in Amsterdam is quite infrequent you do expect rainfall of an average of 47 mm in February. Average high temperatures in Amsterdam in February are 6 °C while average low temperature is 3 °C. The days are not much warmer than nights in February. Pack lots of warm clothes to ward off the chilly weather as well as the freezing winds. Fortunately, you'll find plenty of indoor attractions and warm drinks to keep you comfortable throughout the month. In March, the chilly winter days are replaced with mild weather. Later in March there are several pleasant sunny days. With season crowds still away, those visiting Amsterdam in March can get a lot of breathing space and comparatively better weather to enjoy the many attractions in the city. Due to the unpredictability of the weather patterns in the city, Amsterdam weather in March can be hit and miss but if you are visiting the city in the later half you can expect some sunshine. Expect occasional showers since average precipitation is 65 mm in March. Evenings and nights can actually be quite chilly so don't forget to bring an umbrella and a warm, waterproof jacket. 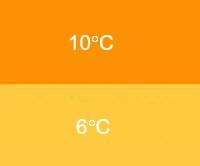 Average high temperature in Amsterdam in March is 10 °C while average low temperature is 6 °C. Depending on how harsh the winter was, you can expect the beautiful tulips to start blooming in the later part of the month. Amsterdam weather in April is pleasant and wonderful. There are sunny days throughout the month and days are longer. The month of April is also when the Tulips bloom in glory. The best of the blooms can be seen in the second half of April. Although rare, April can also be freezing. However, it is a considerable warmer time and also one of the driest month in Amsterdam. Rainfall is only 52mm in April so you wouldn't need to worry about showers spoiling your outdoor fun. 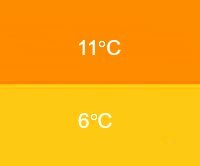 Average high temperatures in Amsterdam in April are 11 °C while average low temperatures are 7 °C. The best thing to do would be to pack clothing that can be put on and taken off easily in layers. This will allow you to be prepared in case of unusually chilly evenings or warmer days. May offers superb weather to those visiting Amsterdam. Throughout the month you can enjoy sunny, warm weather. Since the days get progressively longer, there is more time to stroll leisurely through the city and enjoy people watching in outdoor cafes. The bulbs are in full bloom at this time and there are several events to enjoy. Occasional showers may sometimes force you under cover since average rainfall for May is 59 mm. However Amsterdam weather in May gets progressively warmer as the month goes by. 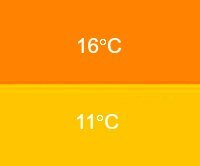 Average high temperature in Amsterdam in May is 16 °C while average low temperature is 11 °C. It is recommended that you pack a warm jacket to be prepared for occasional chilly evenings if you are planning to spend time outdoors. June brings fine summer weather to Amsterdam, making it a great month for tourists planning to visit. However, it does tend to get crowded this time of the year so expect queues at more popular attractions. Amsterdam weather in June is neither too cool nor too hot, so if you're planning a lot of outdoor activities, June is a good month. Because of the northerly location of the city, the sun rises quite early in the morning. Depending on cloud cover, expect sunlight from before 5 AM to about 10 PM during the month. June is particularly a great time for tourists since it allows extra hours for exploring outdoor attractions. However, with average rainfall at 70 mm, bring a jacket along to avoid getting drenched. Temperatures in Amsterdam in June are usually comfortable with average highs at 17 °C and average lows at 11 °C. At the peak of summer, Amsterdam weather in July is the warmest. With sunny, warm days, this month is the ideal time for cafe terraces and beaches. However, it is also one of the rainier months with precipitation levels at 74 mm. Carry an umbrella whenever you step outdoors and pack a rainproof jacket to stay dry. For visitors, July is again a great month to visit Amsterdam because of good weather and a number of outdoor events and festivals. It is also a busy time in Amsterdam with more tourists visiting this time of the year. 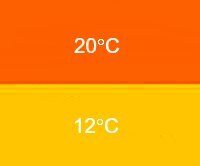 Average high temperature in Amsterdam in July is 20 °C and average low temperature is at 12 °C. The weather in Amsterdam is rather unpredictable so it is recommended that you plan for layered clothing. Light weight cotton clothes will be comfortable during the hottest part of the day while a light sweater should be enough for the cooler evenings. Like most other Dutch places, summer in Amsterdam is sunny but mild. Amsterdam weather in August is also warm, and therefore an ideal time for exploring outdoor activities. Expect occasional showers since average rainfall in Amsterdam in August is 69 mm. The days become increasingly shorter through the month but you can still expect sunset after 8 PM so you can still make the most of the light outside. Be prepared to spend more time on travel, at attractions and restaurants since these tend to be more crowded due to the holiday rush. Average high temperature in Amsterdam in July is 20 °C and average low temperature is at 12 °C. As with any other time in Amsterdam, be prepared for all weather conditions by bringing warmer clothes as well as an umbrella just in case you need them. September sees the thinning out of the summer crowds while still offering late summer weather with warm days. However, Amsterdam weather in September is still quite unpredictable so there can be excessive rainfall or even beautiful weather for most of the month. On an average, Amsterdam receives 64 mm rainfall in September. The days continue to become considerably shorter while temperature dips down slightly in comparison to August. 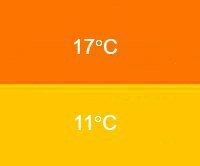 You can still expect average high temperatures in Amsterdam in September of 17 °C and average low temperatures to be around 11 °C. Expect lower rates at hotels and most attractions to be easily accessible. If you are willing to risk odd rainy days, there is still much to do outdoors in Amsterdam in September. If not, there are plenty of indoor attractions to keep you busy for days. As Amsterdam weather in October becomes slightly less comfortable compared to summer and days get shorter, people start spending more time indoors. By the end of October the outdoor terraces can no longer be found in cafes. However, October can still be a lovely time to visit since the weather is still usually favorable and mild. There can be days of beautiful sunny weather and the fall colors are a major attraction. In October you can find local markets with plenty of fresh produce. You can also expect to see mists in the morning hours and frost on some days of the month. However, October can also be quite dreary and rainy with 70 mm rainfall on average so be prepared to spend a considerable amount of time with a rain coat or an umbrella. Average high temperatures in Amsterdam in October is 14 °C and average low temperatures is around 9 °C. Amsterdam weather in November can be quite cold and blustery with chilly winds and frequent showers. Be prepared to ward off the cold and the rain by packing in a warm raincoat, boots, umbrella and scarves and mittens. The days are also shorter in November since the sun sets at 4:30 PM. However, there are plenty of indoor attractions and activities where you can stay warm and cozy such as cafes, exhibits and museums. Temperatures dip down to an average high of 9 °C and average low of 6 °C. Rainfall is also higher in November at 82 mm on average. Fortunately there are plenty of places where you can get delicious hot cocoa to stay warm. November is also a good month to visit for those who prefer to avoid the tourist season if you don't mind the chilly weather and rainfall. Amsterdam weather in December has endless chilly days and the highest rainfall, so be prepared to bundle up. Bring warm, waterproof jackets, mittens, woolen caps, scarves and boots as you'll need them if you decide to brave the chilly outdoors. The days are at their shortest but the city is in its peak festive spirit and there is a lot to do this time of the year in Amsterdam. With most of the tourists avoiding Amsterdam in December you will be able to avoid queues at almost all places you visit. Average precipitation levels in December are 85 mm. Expect frost and snow in rare cases. Average high temperature in Amsterdam in December is 7 °C while average low temperature is 1 degree Celsius. However, there are some perks of visiting the city in the month of December. You can expect to find ice rinks, holiday markets and plenty of great treats that will keep you warm if you do go outside. All the indoor attractions are still operating at this time of the year though you may not find many things to do outdoors.